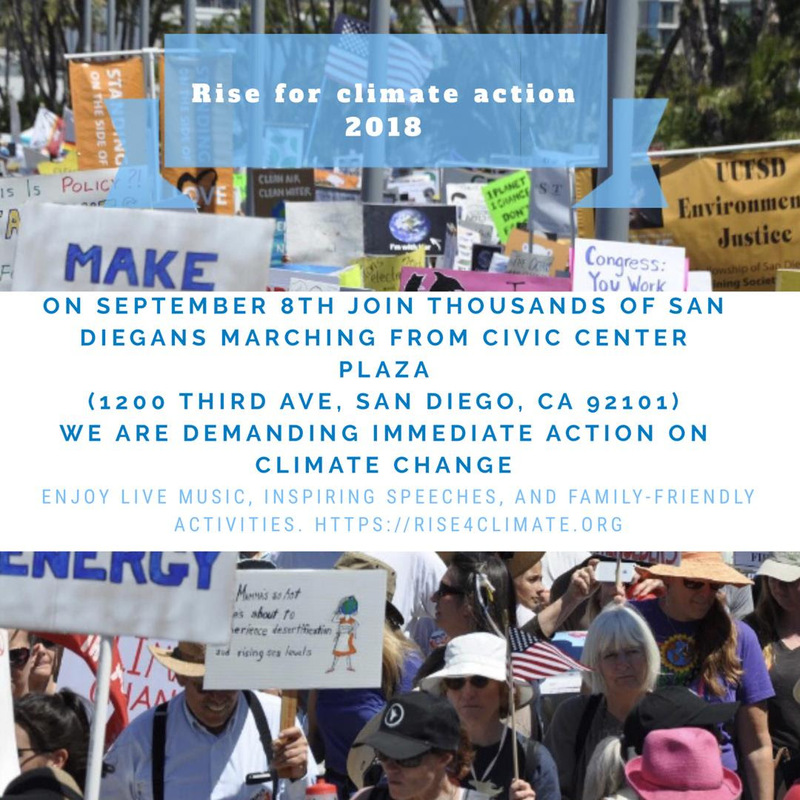 Live music, inspiring speeches, and participatory actions will be followed by a march to South Embarcadero Park – music, tabling, activities, voter registration, and a Kid’s Zone with games and face-painting. Climate change is THE continuing crisis for the world, the nation, California, and San Diego. Worsening wildfires, droughts, floods, hurricanes, locally and world-wide; the poorest communities hit first and worst, but everyone, and everyone’s children and children’s children, to pay the price. The oceans, lands, air and waters are being decimated. Yet, government doing not just not enough, but actively making things worse. Look for the PRC banner and join us as we look to co-create a peace economy that looks to sustain the earth and its inhabitants for generations.